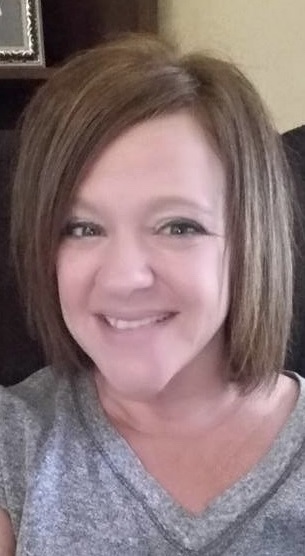 Jennifer Williams, age 42 of Paducah died Tuesday, February 12, 2019 at Baptist Health in Paducah. She was born the daughter of Rick Gipson (Debbie) and the late Ann Wren Gipson. She was the office manager of Williams Tax Service. She was involved in various church ministries including, but not limited to serving on the Southland Baptist Temple Mission Team that took mission trips to Honduras and Nicaragua; she assisted in the Southland Baptist Youth Group, started a Children's Ministry called "Radical", was involved in youth camp and founded the Redeemed Ministry; a living video ministry.. She was a member of Southland Baptist Temple. Funeral services will be 11:00 a.m., Saturday, February 16, 2019 at Southland Baptist Temple with Pastor Jimmy Franks officiating. Burial will follow in Woodlawn Memorial Gardens. Visitation will from 5:00 p.m. until 8:00 p.m. Friday, February 15, 2019 at Southland Baptist Temple; and Saturday, February 16, 2019 from 9:00 a.m. until the funeral hour at the church. Keeling & Goodman Funeral Home is in charge of arrangements. She is survived by her husband: Sean Williams of Paducah; her son: Jacob Waters (Jessica Burgess) of Paducah; her daughters; Annie Eker (Rob) of Paducah and Maddie Williams of Paducah; her brother: Isaac Gipson (Christa) of Benton; her sister: Cathy Gipson-Milton (Patrick) of Colorado; and her grandson: Landon Eker. In addition to her mother, she was preceded in death by her paternal grandparents: Herman and Maggie Gipson. In lieu of flowers, donations can be made to Southland Baptist Ranch, 927 Yarbro Ln., Paducah, KY 42003.